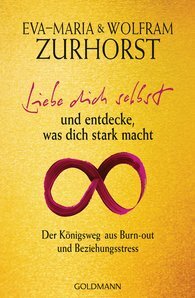 By way of many case examples and their own experiences, the bestselling authors Eva-Maria and Wolfram Zurhorst describe ways to deal with career dead-ends, self-exploitation, and excessive ambitions. From their experience as coaches, they encourage readers to ask themselves questions which have been long suppressed by overly cautious thinking and inflated demands for success. With many practical exercises, this book helps readers make use of crises in career to overcome habitual, no longer useful beliefs and to activate personal potentials. Through this, new models for life and career can be developed, resulting in new quality of life, a feeling of true fulfilment, and a new type of natural prosperity and personal relationship. "An encouraging holistic advice book. For concerned readers, a very important book, and extremely usable."